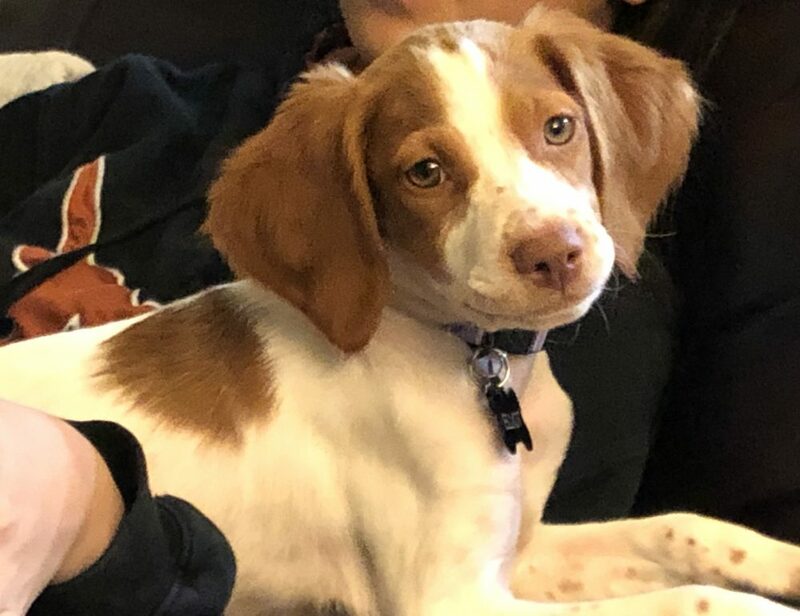 Hi everyone, I’m a puppy … a beautiful puppy girl –I’m a special tri-color –pretty cute if I say so myself. :) Ya gotta love puppies and I definitely am in full puppy mode! 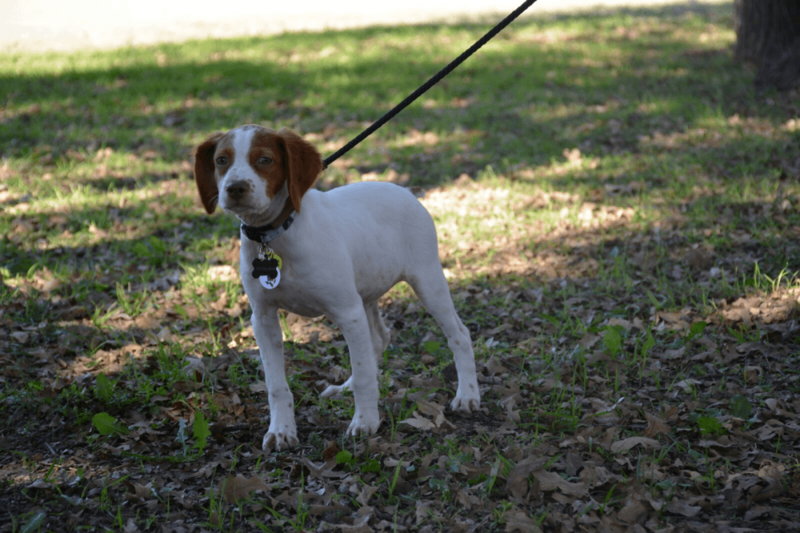 Here’s what my foster Mom says about me: Elliott is a feisty little girl with high energy. She loves to play with her toys. She is very sweet and affectional and almost sleeps through the night with no accidents (yay) She’s pretty darn cute, sweet, precious, lovable and cuddly AND busy! Elliott tries to play with her foster Brittanys pack, but they aren’t interested in her – so she plays with her brother instead. 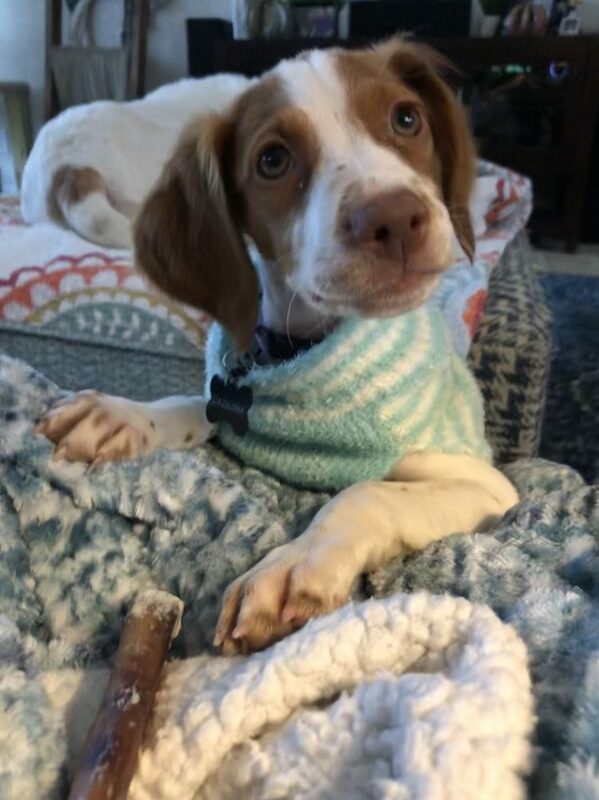 Elliott is too young to be spayed. She has had her initial puppy shots and is on heartworm preventative. She will be microchipped in a few days.